Do you know what kind of shape your commercial roof is in? Many building owners don’t—and that’s an alarming prospect when you consider the important role a roof plays in protecting your building and its valuable contents. 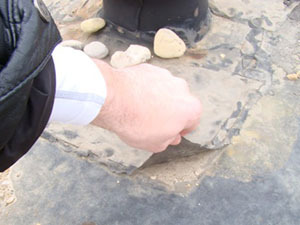 The first step in gauging the condition of your roof is a roof inspection. Regular inspections are not only vital for keeping your roof in good shape, but they are typically required if you have a roof warranty. Regular inspections performed by an expert roofer will help identify developing roofing problems before they snowball into huge issues, thereby proactively saving building owners a great deal of money and stress in the long run. For expert commercial roof inspections performed by professionally trained technicians in the Allentown, PA, area, look to the crew at Capital Coating. We can set up a routine inspection and maintenance schedule to keep your roof in tiptop condition for the long haul. Give us a call today at (717) 442-0979! 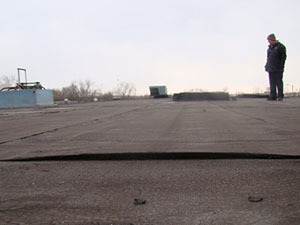 Now that we’ve established the importance of roof inspections, the next natural question is “How often do they need to be performed?” In general, your commercial or industrial roof should be inspected at least two times per year—once prior to the worst weather season in your area and once again after that season ends. A roof should also be inspected after a severe weather event or other happening, like a tornado or an earthquake, to make sure your roof didn’t sustain any damage. The pre- and post-season inspections are important for a few reasons. The first is that a roofing contractor can identify areas of weakness on the roof and reinforce these areas before extreme weather hits. Having an inspection performed prior to the harshest weather setting in also documents the condition your roof was in before the season started. This becomes crucial in the event of an insurance claim that needs to be made due to storm damage or other seasonal maladies. The oldest insurance trick in the book is claiming damage was preexisting. If you have documented proof that it wasn’t, you’re much more likely to succeed in getting your insurance company to cover any damages sustained due to weather or other events. If you have a roof warranty, moreover, regular inspections are generally required. What’s more, proper repairs—performed to code by an expert—are also typically mandated under your warranty terms. Improperly performed repairs and failure to have regular roof inspections can nullify your warranty. Call Capital Coating today, (717) 442-0979, to schedule your next professional roof inspection. We can develop a custom-tailored inspection and maintenance plan to ensure you are always in compliance with your insurance and warranty mandates.